Fans want it and stadiums and other sport venues want it! So why aren’t more large sporting venues already offering WiFi for their fans? Part of the answer is to avoid the potentially high-cost and the uncertain return on investment. However, the other, and much more important reason, is the technical difficulties that companies must overcome to reliably provide WiFi to a large number of devices in close proximity to each other. Especially, since the unique architecture of each stadium can make the WiFi signals extremely variable in different locations within the stadium. Relying on mobile carriers to provide enough bandwidth for fans on game day has proved to be inadequate. In San Francisco’s AT&T Park (home of the MLB Giants and one of the first large venues to deploy a stadium wide WiFi network) they have seen network traffic and bandwidth demands double each year. The stadium has struggled to keep up with ever increasing bandwidth demands and the costs associated with that bandwidth, despite the vast cellular resources at AT&T’s disposal. Sports fans have become so accustomed to having decent cell phone service at all times, that good cell service is taken for granted. Fans still want the whole stadium experience, including the bad or frigid weather that comes with it, but they draw the line when they cannot make a phone call or use their mobile data service. 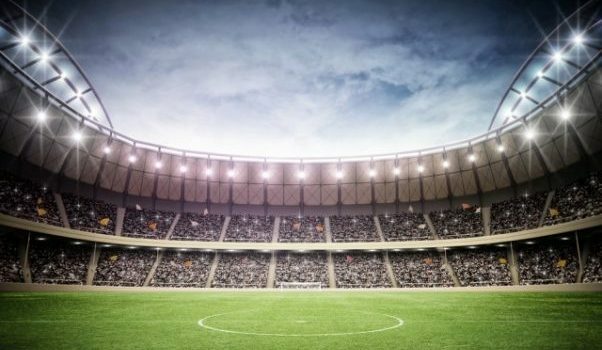 They have been increasingly vocal about their dissatisfaction with the state of mobile and wireless networks at sporting venues across the country. The NFL is one organization that is starting to catch on. A few pro football stadiums are currently participating in a pilot program designed to evaluate the potential of league-wide WiFi. The NFL’s goal is to make watching the game from the stadium a more interactive experience. Since the advent of HD television, it has become difficult for some fans to leave the comfort of their couches. It can be difficult for the average fan to justify the expense, crowds, and poor view from the cheap seats” over their home viewing experience. The result of the decrease of fan interest has resulted in a steady decline of ticket sales across the NFL over the past five years. Fans see the inadequate networks and inability to use their smartphones in the stadiums as one more reason to stay home. The New England Patriots debuted their stadium’s new WiFi network at the 2012 season opener after experiencing years of complaints from fans about poor cellular service. Of course, a successful team like the Patriots does not need WiFi to sellout their games, but not all teams are so lucky. Any football fan that uses social media knows how cathartic it can be to gripe to friends about bad plays and calls. Football and other professional events are not cheap spectator sports. For stadiums in cities with new or locally unpopular teams, there is a great need to draw new fans. The emotional investment of these new fans in their team can be a key to the franchise’s future success. Social media provides a form of free marketing that can certainly help build team loyalty and involvement among the new set of fans. The investment in a WiFi network for these stadiums is a worthwhile investment in the team’s brand, but the WiFi network still has to deliver the connectivity that fans expect. Deep Blue Communications has been engineering large-scale WiFi networks across a wide variety of venues and locations for nearly a decade, and has most recently installed the new WiFi network for NYRA’s historic Saratoga Racetrack. As a Top Dog partner of Ruckus Wireless, Deep Blue Communications offers the most technologically advanced hardware to conquer even the most difficult WiFi environments. Ruckus Wireless’ equipment makes it possible to deliver a reliable WiFi signal in locations that experience changing radio interference and high-bandwidth utilization, like those found in most sports stadiums, by incorporating adaptive antenna technologies that allow the equipment to adjust to the environment in real-time. No matter what devices fans bring with them, Ruckus Wireless’ equipment can adjust to the interference from other nearby fans and still deliver a reliable WiFi signal. Most importantly, as the popularity of the new WiFi network grows, Ruckus Wireless networks are fully scalable to meet the increased utilization.